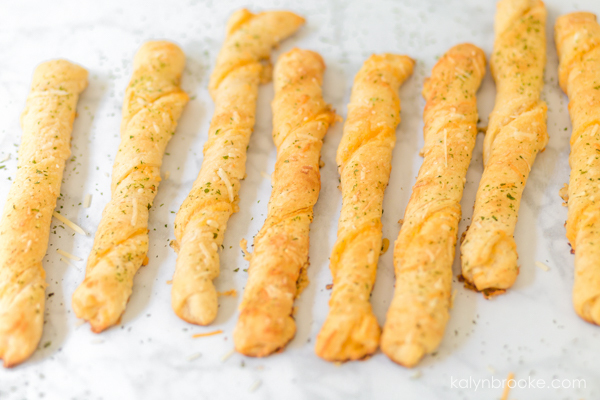 Dazzle your guests with cheesy garlic bread twists that look like they take hours to make, but come together in less than 20 minutes! 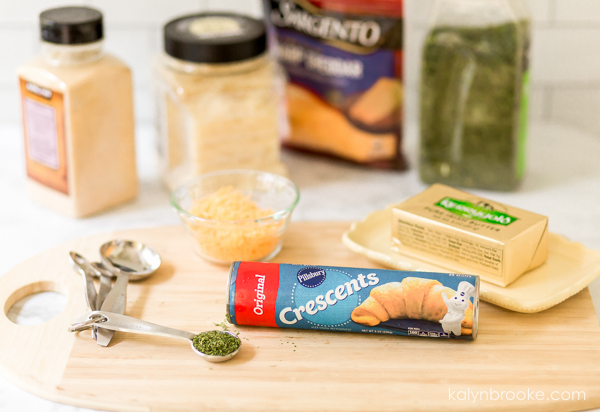 The herb and cheese mix sprinkled on top turns every savory bite into a melt-in-your-mouth experience. I'm all about using cheats as a way to get dinner on the table fast. We're ALL busy, and if Pillsbury can help me out, I'm not going to feel the least bit guilty about it! 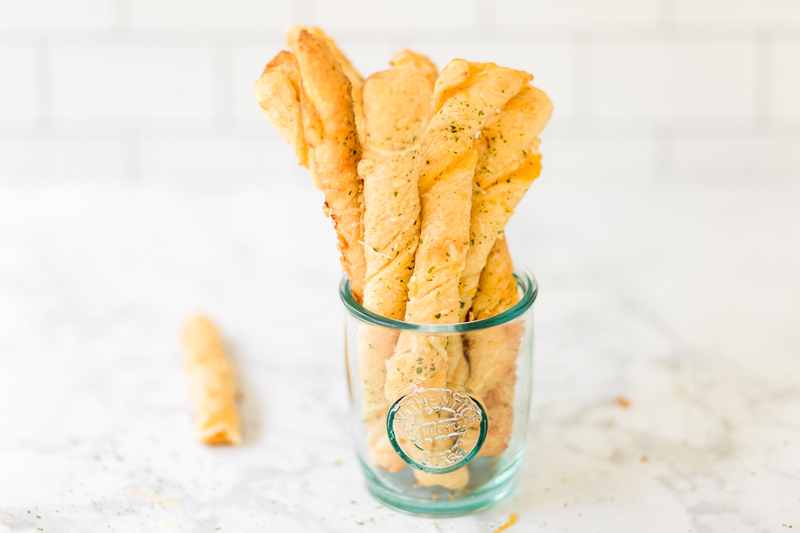 But sometimes you want a bread basket to display a little more oomph than the typical crescent roll. Hold on tight, because we're about to get fancy…but not too fancy. 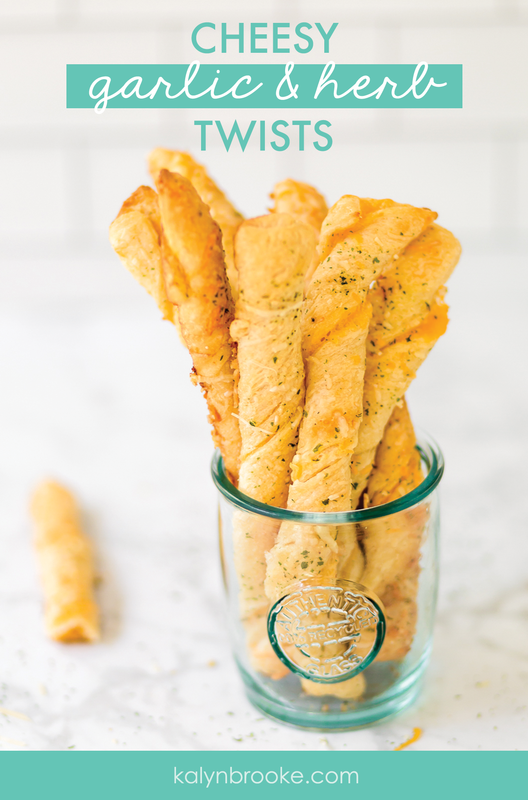 We're still keeping things simple while adding a “twist” to the end result! Step 1: Heat oven to 375. 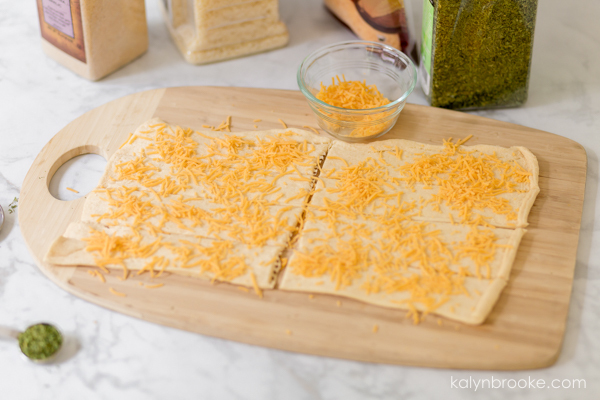 Unroll dough on cutting board and cut lengthwise into 4 strips. Then cut each strip in half making 8 shorter strips. Step 2: Sprinkle cheddar cheese on dough and twist. 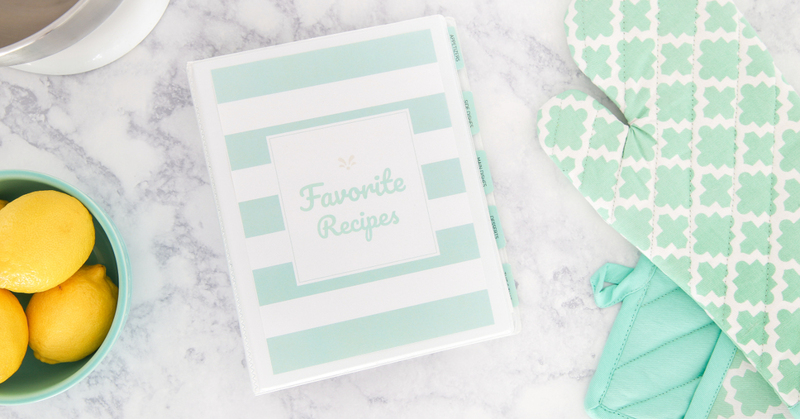 Place 1″ apart on parchment paper lined baking sheet. Step 3: Brush with butter; sprinkle with remaining ingredients. Step 4: Bake 9-10 min or until golden brown. 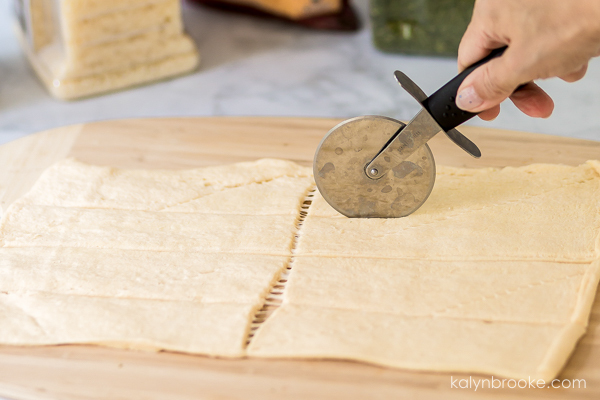 Unroll dough on cutting board, cut lengthwise into 4 strips. Cut each strip lengthwise in half. 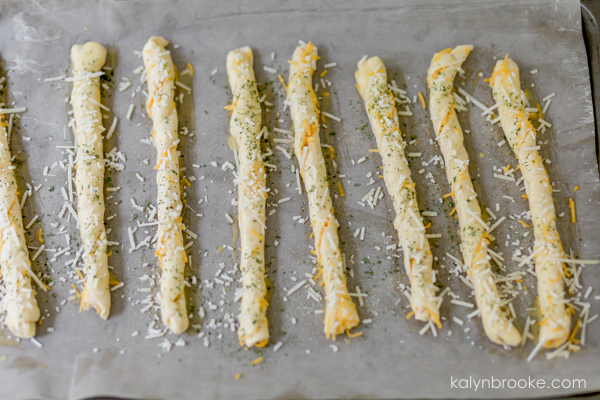 Sprinkle cheddar cheese on dough and twist. 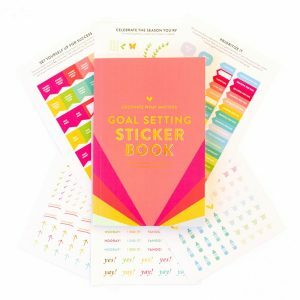 Place 1″ apart on a parchment lined baking sheet. Brush with butter; sprinkle with remaining ingredients. Bake 9-10 min or until golden brown.